Dan Winter - Sacred Geometry in Byron Bay..
Dan Winter returns to BYRON BAY! @ Cepote Ctr (pictures/link below)| Early Registration $ 375 , Magical Place, Magical Media, Magical PEOPLE! For the YOUNG & Young at Heart.. The PLACE: CEPOTE Retreat Center.. Sponsored by Implosion Group and Feng Shui Seminars. Plan your 2003 Now. Spend 4 Intensive Days with Dan Winter: Multimedia, Visuals, Experientials, Bliss Process and VERY Stimulating Discussion. 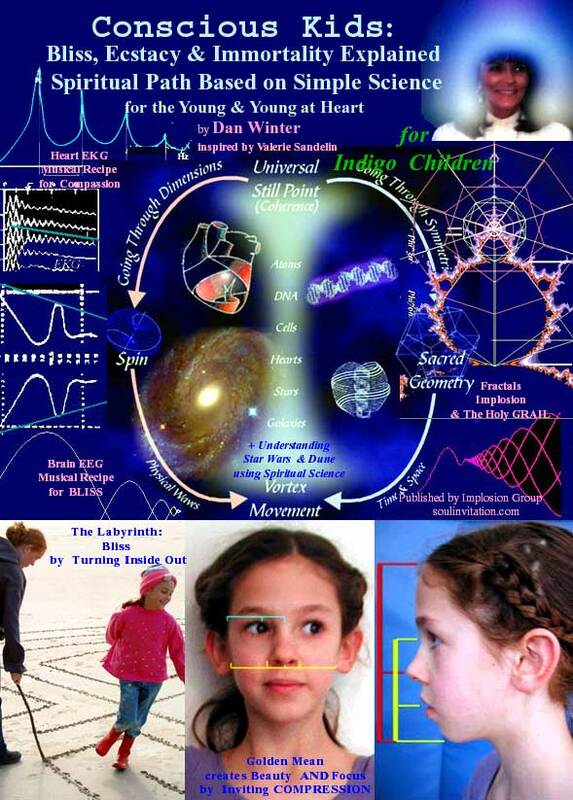 Dan Winter is widely acknowledged as the most original and penetrating wholistic science teacher on the planet today. Read the radical incrimination of the current scientific views AND the real NEW SCIENCE (on gravity and DNA and the wave musical recipies of self-awareness and self-organization) at PhiRICAIS (Making the Case for PHIre)- How Science can measure LIFE FORCE / & BLISS making Gravity in DNA. . (latest hottest Dan Winter). Note while Dan Winter's body of thinking is very inclusive and in depth - (3 books / animations / 2000+ pages - see main index ) - this 4 day curriculum is particularly designed in consultation with Feng Shui Seminars and Holistic Architecture to be inviting and accessible to the layperson. While providing substance and rich stimulation for the scientific or technically oriented, this course -especially the 4 day Part One (see the pdf file below) is specifically intended to be introductory and require NO previous knowledge of science / physics etc. Of course a healthy curiousity about the connection between wave science / musical harmonics VERSUS the nature of consciousness and spiritual experience is a great reason to come. The course IS intended for those who themselves intend to APPLY this knowledge practically and/ or professionally - clinically, in healing, in sacred architecture or feng shui, and in teaching. - and also hands on Heart Tuning - Coherent Emotion training with Dan Winter inspired new HeartTuner invention (www.heartcoherence.com ) which is currently sweeping Australia and Europe. "Tune your heart and get on the same wavelength as your loved ones - Learn when your heart synchronizes with your environment - embedding (nesting musically the waves in your heart / ECG) allows you to SEND CHARGE / Magnetism which IS the WIND on which LOVE TRAVELS!". Also new from Implosion Group- Dan Winter learning resource bank: Computer CD - the Compleat Sacred Geometry, 4 New Dan Winter films - on DVD or Video CD (4 different 1-2 hour films), Star Mother Kits, 7 Color Donuts. see Coherence TOOLS!. Oct 1-4: Calgary Alberta, Canada, - 4 Day Intensive- Celebrating the Americas- Straw Bale Sacred Space..
4 Day Course Intensive- New York ­ April 2 - 5. 4 Day Course Intensive- San Francisco ­ May 1 & 2 and May 8 & 9.
also related - Roger Green's fengshuiseminars.com Major International Feng Shui Conference- South of San Francisco ­ August 6 ­ 10- with Michael Rice, Jain, & Many Others..
NEW! Preparing for Part II - Advanced: Practicing the SCIENCE OF BLISS,Preparing for Part II - The Advanced Sacred Geometry Retreat Residential Intensives..
Sacred Geometry is a PATHWAY TO UNDERSTANDING who you are, where you are from and where you are going. It is a blueprint of creation; an interface between the seen and the unseen, the manifest and the unmanifest, the finite and the infinite. From the mosaics of the Middle East and pyramids of Ancient Egypt to the calendars of the Aztecs and the Taoist philosophies and medicines of India, Tibet and China, Sacred Geometry has long bridged the world of spirit and matter, Heaven and Earth. It continues to play an integral role in the traditions of art, architecture, science and cutting-edge physics, alchemy, feng shui and geomancy, music and mathematics. Sacred Geometry shows how each time two lines cross, they have to either figure out how to distribute and share their pressures or self-destruct. The result of this test for "shareability" is called symmetry All waves, and eggs, and people, and stars, survive in their world to the extent they learn how to embed themselves. We now know the exact geometry of perfect embedding. It is teachable, and it a real key to Feng Shui. archtiecture and sacred design. When waves can agree to meet sustainably this is called "sacred". All actions obey distinct patterns, and Sacred Geometry describes these laws through shapes, forms and ratios. It is a universal language of pure truths based on the inner workings of nature. Energy can be defined in terms of frequency and harmonics - even the structure of the human body is based on the same principles found functioning on all levels of creation. Our bodies holographically contain all the information of the universe - geometric knowledge is innate within us and we are naturally attuned to the harmonics of the universe, before birth, during life and after death. Sacred Geometry gives you the opportunity to take a BIG PICTURE look at yourself and your place in the world. Once mastered, it can be applied to healing, counselling, biofeedback, researching, teaching, designing and the creation of PEACE, BLISS and ONENESS. * People who want to initiate change and are looking for new perspectives in their private and professional lives. * Architects, designers, healers, dowsers and feng shui practitioners, who will all receive further validation of their skills. * Teachers, builders, mathematicians, computer folk, artists - everyone from the technical minded to the intuitive feeler. * Those who deeply feel the need to give meaningful and measureable SCIENTIFIC language to profound spiritual experiences, thus anchoring, enabling descriptive accuracy and making these experiences "shareable". * Anyone wishing to teach, practice and facilitate better bliss, movement, ritual, euphoric states based positive immune system effects, magnetic and feng shui symmetry practices ('grid engineering"), including labyrinth, stone circle work, spectrum analysis of magnetic pollution. * Anyone wanting to address questions about diet and lifestyle that practices really support consciousness. * Those wanting to prepare for Shamanic magnetic tornado steering and successful dieing. * Those who appreciate the term NON CREDO (" I do not believe"), and are willing to define their lives and processes by "pure principles". * Free thinkers and dogma-free lovers. These seminars will open the doors to wisdom, healing and universal spirit. They will show you the various influences on our individual and collective lives and how to perceive the mechanisms to make positive change. The certificate course is designed to add great MOMENTUM to your LIFE, pathway, profession, creativity and soul purpose. It will also improve your health and knowledge of LONGEVITY, enabling you to enhance your own life and the lives of others. Participants will be trained in the major theories of SACRED GEOMETRY, DESIGN, HEALING and EMOTIONAL COHERENCE, and to develop a scientific language that embraces the concepts of CHI-LIFEFORCE-EVOLUTION-COSMOLOGY and CONSCIOUSNESS. 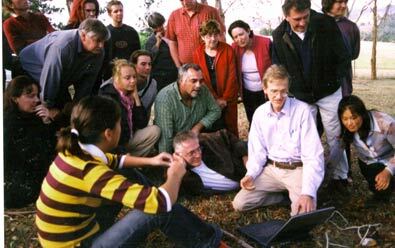 The course comprises two parts, both held over four days in various locations around the world. A comprehensive home-study program using DVDs and CD Roms forms an integral and compulsory part of the course and extensive home-study tapes and DVDs are available to further facilitate your learning. You also have the option of training in HeartTuner biofeedback applications. This practitioner training is truly revolutionary. For the first time students will be able to move deeply into the experience of Sacred Geometry via Dan Winter's cutting-edge curriculum, research, teachings, writings, animations and breakthrough theories. Dan imbues each subject with an inspiring, dynamic and creative rhythm - his work is mind-expanding and this course will equip you with knowledge and wisdom that can be applied directly to design principles, healing, biofeedback, ecologically sustainable environments, music, addiction-free lifestyles and the hygiene of BLISS MAKING and PEACE MAKING, The program may vary slightly between locations. Dan Winter is the principle teacher, with Michael Rice set to teach Part One in the US and guest lecturers also sharing their knowledge. 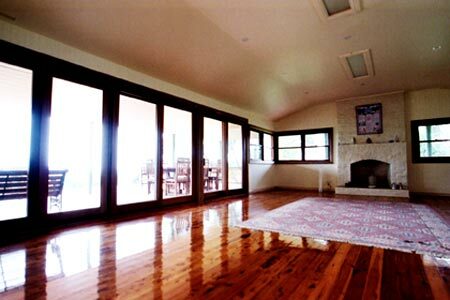 Part Two will be held in a retreat-style setting, with an abundance of nature, fresh air, earth energy and great food. All details on fees, venues and dates are available on the website, or you can contact your local sponsor for more information. "Earth may never be more hungry than now for detailed ideas from science which bridge mind and matter. Medicine and biology are needing to understand more than ever how emotion and feeling effect immunity and health"
* The Universe is made of one substance and has one shape - the Sine Wave. * The world is made up of waves and sacred proportions. * Energy, inertia, matter, the wave, the line, the circle, the spiral. * Geometry produces symmetry. Waves get permission to arrange themselves and to store memory from 'ONENESS', through the Golden Mean 'Phi' ratio - the secret of the universe and the most accurate scientific pure principle to describe how things relate and function, evolve, change and manifest. * Waves are drawn to FOCUS and automatically sort themselves and agree to sustain via Sacred Geometry. They align to still points, creating 'CHARGE', 'Stasis', 'ecstasy', 'tingle', 'pure intention' and LIFEFORCE. * When the harmonics of the brain- body- heart-planet enter into NESTING they do so by the principal of FRACTITALLY. The small is within the larg;- the pattern of your fingertip is the same as the galaxy. *Fractals change form, shape, and vibration into higher and higher evolving patterns - an encoded thread linking larger spirals into smaller spirals and on to infinity. * DNA is a four-dimensional Dodecahedron. This is a very loving embrace, and is the same for the "dodecahedral" shape of the Earth Grid and Zodiac. * The doorway of perception is to holographically connect all of life processes - past, present and future. * Coherence at any level is coherence at every level. * Light, when folded back on itself, comes to know itself. * The Fusion of Geomancy, Science, and Feng Shui. * How to make friends with MAGNETISM and how to make your own Sacred Space. * Magnetism, vibration and morphic-resonance. * Concepts of sacred space and design principles. 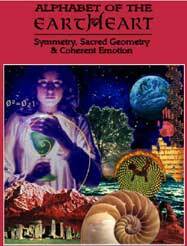 * Sacred Architecure, earth grids and labyrinth building using magnetism and geometry. * The Great Grail -The Cup of Bliss- Kundalini and the deep biology of the 'BLISS' process. * An introduction to the 'twinkling eyes lifestyle' and SPIRITUAL ALCHEMY. * Integrating LIFESTYLE strategies such as diet, movement, meditation, attitude and awareness for creating OPTIMUM health, longevity and mental clarity. * Mastering the concepts of Compressible Ether. * An introduction to STAR MOTHER and the DONUT THEORY. As well as group discussion and interaction, 3-D computer animations will be used to demonstrate how DNA braids and responds to hearts in a state of BLISS. This embedding idea will then be applied to STAR MAPS, Map Dowsing and understanding Earth Grids. Students will receive the 'Alchemical Workbook' as part of the course fee and can purchase home study DVDs and CD Roms to help consolidate this material between Parts One and Two of the course. On a practical level, students will develop an understanding of the quality of numbers, ratios and proportions, which can be applied to art, design, healing and music. You will also look at the harmonic 'phi' expression in nature and explore design using 'phi'. On a philosophical level, you will learn the importance of creating bliss in your life and gain greater understanding of the influences of Universal Cosmology and the cycles of change. On an emotional level, you will get to grips with 'Lo-Phi' (LOVE) and how integral LOVE and COMPASSION are to Sacred Geometry. In Part Two of the Certificate Course, Dan Winter will delve into his incredible knowledge-base to reveal how the PASSION of the HUMAN HEART is the switch-point in interstellar DNA politics. He will also discuss the true power, physics and emotions of BLISS, and how the experience of BLISS can influence climate, the environment, gravity and human relations. To support this process, Part Two will be held in a retreat-style environment over an intensive four-day period. During this time Dan will literally change your physical wellbeing by introducing you to several types of SACRED MOVEMENT, including sacred circle dance, sufi dance, Gurdjieff Sacred Gymnastics and posture-induced ecstasy. * Combining Heart harmonics with voice harmonics. Learn the power of MAGNETISM and VIBRATION in music, understand sound healing, witness the latest biofeedback measuring tools and work with Dan's HeartTuner. * The Ecstatic process and EMOTIONAL COHERENCE. * The ET origins of human DNA - learn about the Sumerian, Annunaki, the Bloodline of the Holy Grail , the Tutankhamen Prophecies and Zachariah Sitchin's Earth chronicles. * Science of Implosion Physics - in water, in the heart, in a new model of gravity formulated by Dan and based on Fractality of Charge Compression using Spectrum Analysis. * The role of biology and human BLISS in fabricating the coherent centering gravity force behind the evolution of planet atmospheres and stars. Learn why compression without heat is not only the key to surviving death - it is the electrical recipe for perfect space. * Gene splicing, UFO abductions and the attempt to get soul tornadoes braided into DNA. 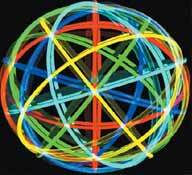 * The Sacred Geometry of Planetary Grids - creating Gravity by Imploding Charge. Heart waves become sustainable (all chronic diseases end) when the harmonics arrange themselves into Phi embedability. Examples include the sustainable elimination of addiction and attention deficit in brainwave neurofeedback work using this principle. * A history of how and why we measured TREES and LAND responding electrically to HUMAN EMOTION. * How the practical ability to move remembered senses in the lucid dream determines memory survival during time implosion - and what this has to do with the spin your DNA eats each time you choose to feel joy and compassion. * Story of Gold: The Geometer of Pure Intention. Exploring gold in the blood, 'manna', and valence implosion vs. immune health. * Touch: the Sentic Squeeze and joy, anger and love in the human hug. How to touch a violin string so that it makes you cry. 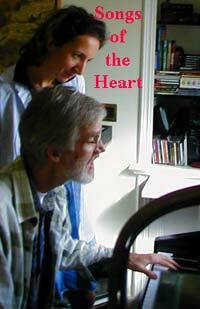 Introduction to heart harmonic biofeedback. The feeling of turning yourself inside out, feeling outside self as if it were inside, revealed in the music of the EKG. * FEELING MAGNETISM - the PURE PRINCIPLE BEHIND PRACTICAL DOWSING. THE THEMES FOR THE ADVANCED WEEK ARE INTERWOVEN DELICATELY WITH THE ABILITY OF THE GROUP TO SUSTAIN INTENSITY AND BLISS. Real practice in diet and lifestyle in a pristine environment are critical and implicate in the process of the initiatory week. The sequence of these delicate spiritual topics will depend on the evolution of the group's ability to integrate technical understanding with the emotional maturity to USE and not just discuss the SCIENCE of the spiritual destiny of souls. Each student will be asked to ASK enough questions to prove to THEMSELVES that they could begin to TEACH what they have LEARNED.... The experience of Part Two will change your life. Dan Winter invites you to experience the 'HeartTuner' firsthand. Learn how emotions can literally be measured mathematically then see the heart's biofeedback in real-time on a giant computer screen. Be prepared to witness a fractal slide show like no other, with animation demonstrating how DNA braids and unites with your heart and consciousness. * Experience the Sacred Geometry of EMBEDDING and discuss the meaning of COHERENCE as a LASER shining in your HEART. * Gain practical experience of measuring Heart Wave Coherence, Heart Rate Variability and Heart Musical Key Signature. * Through the HeartTuner you will learn about COHERENCE and why Heart Rate Flexibility equals Emotional Flexibility and is beneficial to your health. * Literally see what happens on-screen when two hearts link, and use Dan Winter's 'Heart Link' training for relationship counseling, peace making and conflict resolution. * Move from Head Centred Emotion to HEART CENTRED EMOTION and learn how to identify the parking place of everyone's heart. The Musical Key Signature, as measured by the HeartTuner, can help those who are stuck at Emotional Index 1.0 and want to move their Heart. - Empowered solutions for Attention Deficit and addiction. - Measuring the LIFE FORCE in trees, plants and food. - Measuring ELECTROSMOG and the SCHUMANN resonance. 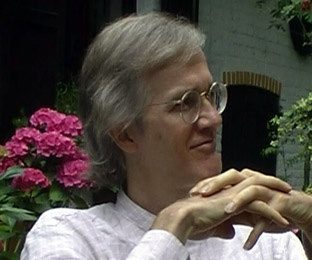 Regarded as one of the most dynamic thinkers of our time, American-born Dan Winter is an internationally respected academic, physicist, author, accomplished keyboard artist, master animator, inventor and one of the foremost authorities on Sacred Geometry and the Scientific Nature of Consciousness. Dan places himself on the cutting edge of science and uses his teachings to inspire others to take a fresh look at their belief systems, environment, health and the development of their consciousness. By drawing on science, mythology and popular culture, Dan is constantly formulating breakthrough ideas about the deep connectedness of all things and how the profound nature of our "oneness" can be approached via sacred geometry, architecture, art, maths, biology, computers, electronics and myth. Dan is currently developing a new theory on gravity and consults on multimedia and virtual-reality computer animation projects. 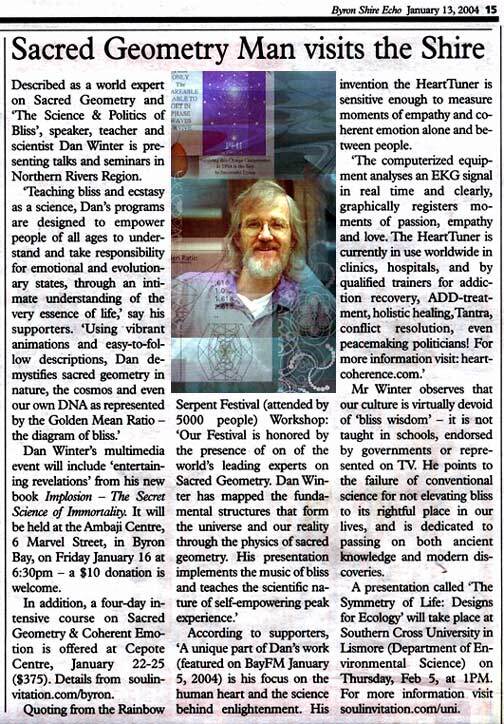 He also lectures around the world on the Evolution of Consciousness, Sacred Geometry and Coherent Emotion. you are on the same EKG "wavelength". We invite you to experience the 'HeartTuner' firsthand. Learn how emotions can literally be measured mathematically then see the heart's biofeedback in realtime on a giant computer screen. Experience the HeartTuner, the physics of Life Force, Fractals, Human Biology of Bliss and Zero-Point Energy. and why Heart Rate Flexibility equals Emotional Flexibility and is beneficial to your health. · Literally see what happens on-screen when two hearts link, and use Dan's 'Heart Link' training for relationship counseling, peace making and conflict resolution. 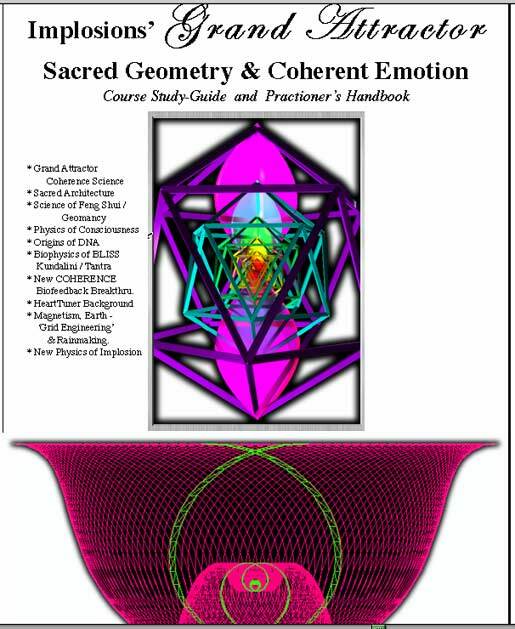 · Experience the Sacred Geometry of embedding and discuss the meaning of COHERENCE as a LASER shining in your HEART. 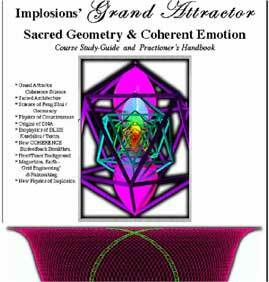 C re a t i o n .
purposes and for personal and global spiritual gro w t h .
Roger Green is the international sponsor of the Certificate Course in Sacred Geometry. 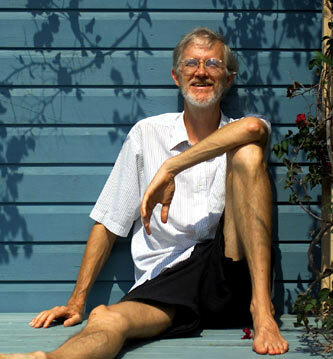 He is the Founder and Director of several curriculums around the world, including the European, New Yo r k and Australian Schools of Feng Shui, where he conducts practitioner courses. Program is especially inspiring and unique. He has organised and sponsored n u m e rous intern a t i o n a l c o n f e rences tours in Ecology, Feng Shui and Health and has has taught in over 30 countries. He is considered to be one of the leading teachers of Taoist Philosophy and Feng Shui and is a pioneer of natural healing in the We s t .
Implosion Group Newsletter: New Book, DVD;s,CD's,Kits- Released, Life Force Measure Replicated-Transducers Released-New Tour Dates- & Exciting Book Exerpt. * Extensive Annotated Bibliography & New Glossary, * 207 page extensively illustrated. - Inspiring Exerpt from the book in html - below.. The first major sections of the book are a complete outline and handbook for the new curriculum..
Role of Mind Among Waves Poem. Who Is the Course For? - The Program. P 10. What is Sacred Geometry? P 11. The PRINCIPLES of Sacred Geometry. P 14. History of Sacred Geometry. P 17. New Life Force Measure Sample Graphs. P 18. The JOB for the Sacred Geometer. Charge Density of Bliss Process. P 22. Intro to DNA History versus Hygiene for BLISS - What the Homework Means? P 27. Origin of Donuts / Torus - Self Organization of Field Domains..
P 30. Origin of Geometry among Donut Domains. P 36. Self Organization in Waves of SACRED or Divine Proportions. P 37. Quantum Mechanics is a name for Wave Symmetry and Geometry. P 38. What is a Fractal Attractor. P 40. What Causes the Centering Force of GRAVITY? P 45. What is Embedding? AND in so doing - become the ARCHITECTURE of the SACRED. P 61. The Life Force Cycle Map: Water follows Magnetism follows Symmetry follows Implosion follows Awarenss. .. follows Water. P 62. Water Nozzle for Implosion to Sort Pollution. P 64. Application to ARCHITECTURE - Pure Symmetry Science of CHARGE. P 68. In cube ation version PHYcycle in Architecture - Hex versus Pent. P 70. SACRED Architecture - ATTRACTING RAIN - IS Attracting Charge. P 75. Intro to IMPLOSION Science. P 78-85 Labyrinths and RAINMAKING continued. P 88. Grid Engineering as a Tool for Peacemaking. P 89. Microwaves versus Your Health. P 90. Addictive Behavior versus Mucous versus Bliss. P 92. International University for the SCIENCE OF PEACE. P 94. Harmonic Module - Peacemaking by Linking Hearts and Minds. Corporate Coherence Training. P 98. PeaceMaking in the Land . PeaceMaking in the SHAPE of TOUCH. P 102. 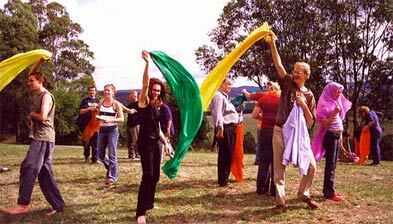 PeaceMaking in Human Movement : Bliss Kinesthetic Introduction. P 103. PeaceMaking in the Breath. - Exercises in BLISS Process. P 108. The SACRED GEOMETRY of DNA. P 117. The RING in DNA.. "Sacred Geometry of LORD OF THE RING"
P 120. 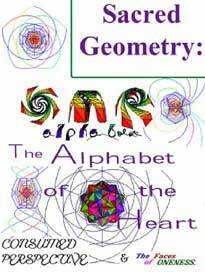 SACRED GEOMETRY of ORIGIN OF ALPHABETS in 'ringing' DNA. P 122. Ring DNA - Academic View ... & "Supercoiling in DNA". P 127. Shaping DNA into (Charge) RADIANCE: The Role of BLISS. P 128. History and Pure Geometric Origin of the GRAIL. P 130. Golden Mean Ratio research in the Musical Recipe of Self Empowering BLISS. P 131. Rock and Rave: Ecstacy with Purpose. P 136. Kundalini: Biological & Environmental Power of Extreme BLISS. P 144. Intro to Feng Shui - Practicum - & How to steer the tornado of Magnetism. P 152. Course Syllabus- Keyword Review in Outline Form. followed to Intro to Advanced Syllabus. P 157. Intro to Home Study - Assignments. 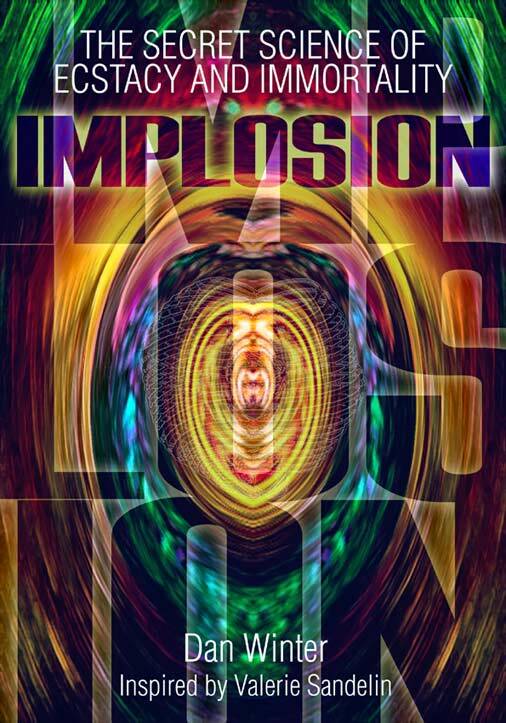 *P171-174 Implosion and Gravity / Energy Device Technology - Fractal Thrust from Capacitors. *P180 Modeling and Science of Heart's Electrification During Euphoria. Heart as Attractor. P 183 Bibliography - Extensive - with detailed annotations. P 193 Glossary - detailed background on many new keywords used. Inspired from Dan Winter's work..
Dan Winter's 4 Color Illustrated Books! (250+pp ea) in pdf.